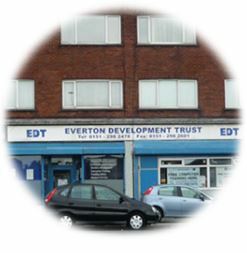 The EDT offices are located on Great Homer Street in Everton, approximately 1.5 miles from the city centre - opposite the New Greatie Market and adjacent to the NSPCC Hargreaves Centre. Free parking is available to the rear of the building. If using public transport take one of the many buses that travel along Great Homer Street and the Scotland Road area.